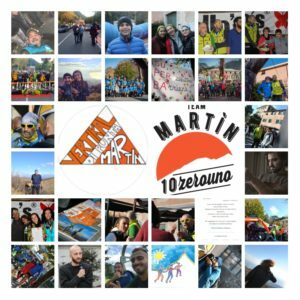 The Martìn 10ZeroUno Team was founded in 2019 on the ashes of the previous company, the G.s.d. Eurobike Swim & Run, keeping Skyrunning (high altitude running) and all Outdoor activities such as the SwimRun, the triathlon in the longer version called IronMan and the run with a story made of participations in Maratone and UltraMaratone (such as Milan-Sanremo). The whole team is pleased to welcome new future athletes to introduce them and lead them towards achieving new goals by living everything within a group of people who make their sporting passion a way of life.